For aspiring/newbie bloggers, Blogapalooza is a community where businesses can present their products/services to the bloggers. It is organized by When In Manila by Vince Golangco, The Awesome Planet by Anton Diaz and Francis Simisim. Thanks to these three, bloggers can get to know more brands personally. It's a win-win situation because you get to try out something for free and companies have first hand advertising. After registering, I noticed that it wasn't the same as the first Blogapalooza. It was bigger and definitely better! My partner in crime Krystle and I went to ALL the booths to know each and every product. After all, I started blogging because there's this sense of adventure, plus I don't want to get left out about the latest trends, gadgets, technology, etc. 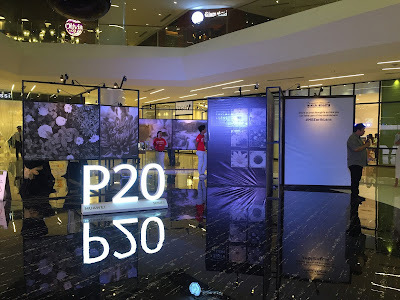 Aside from the booths, there are a lot of talks and speakers who discussed about being a social media ambassador to making a mark in the blogging industry. I've been blogging for nine years, four years of attending events, but I know I have a lot to learn. After all, it's a continuing process. Speakers were Youtube sensations Bogart the Explorer and Mikey Bustos, GoNegosyo’s Ramon Lopez, AFFI’s Armando Bartolome, Hottie DJ Karen Bordador, Comedy Cartel's Tim Tayag, Derf Hebrado, James Caraan and Marlon Olivan, MRM Worldwide's Jason Cruz, Philip the Lifestyle Guy, and the Boys Night Out's Sam YG, ToniTony and Slick Rick. Blogapalooza 2013 also partnered with The Piggybank Movement to collect funds for the Typhoon Yolanda Victims. That night, we raised up to Php80,000. I feel so proud that many are willing to help in these trying times. Also, Michaela of World Vision gave her first-hand experience on what happened during the typhoon. I must say that all of us were moved that I encourage everyone to never stop helping. It's one way to give back, for the victims to also feel the Christmas Season. Thank you Vince and When in Manila! After attending Blogapalooza, I did not just brought home a loot full of goodies, but also new friends and learning. If you're a blogger, always know that you have a voice that stands out. And you should always write because you love it, not just because you have something to gain from it. Yes, this is coming from a blogger who started from a personal blog - who airs most of her reviews based on experience, to becoming a blogger (whom I think) is trusted to tell stories about the brands that she believes in. But above all, thanks to the Blogapalooza organizers for a job well done. I hope you'd continue to share more to bloggers like us. These and more in my loot bags. Wait for my reviews!